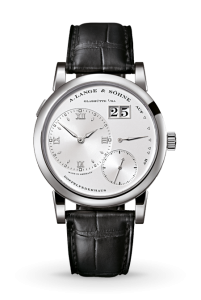 The A. Lange and Söhne Lange 1 is one of the four timepieces that were first presented after the re-establishment of A. Lange and Söhne in 1994. 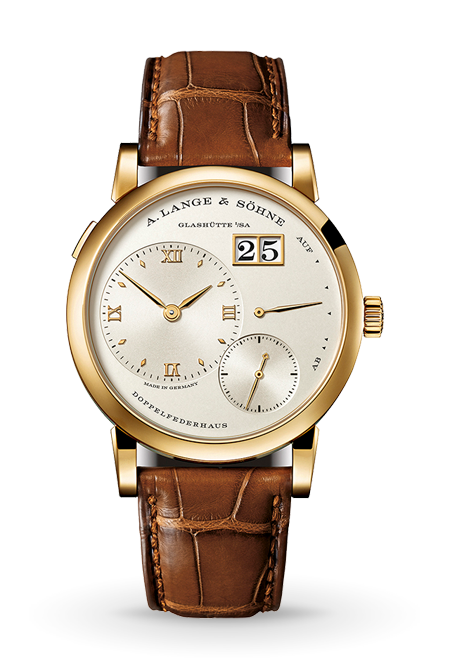 With its asymmetric, overlap-free displays and the characteristic outsize date, has become the icon of Saxon watchmaking as defined by A. Lange and Söhne. 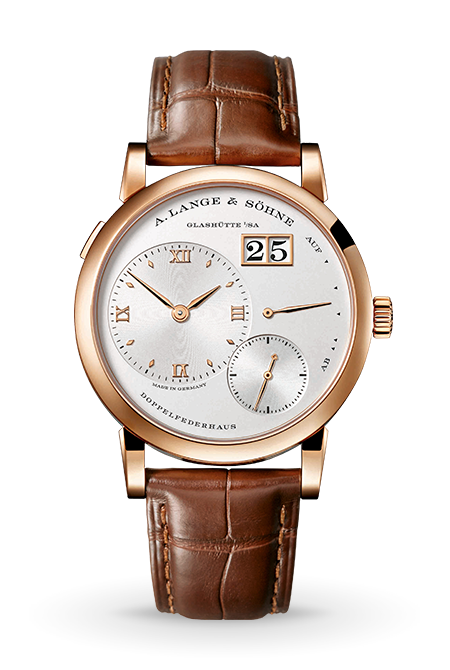 The german silver dial is accented by 18ct pink gold numerals and indices. 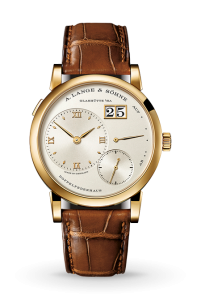 Ever since the first collection of the new era was presented in 1994, the LANGE 1 has been the face of A. Lange and Söhne. 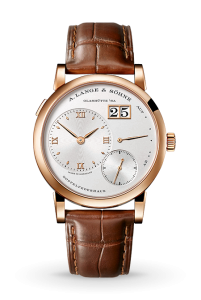 Largely unchanged as regards its design, the second generation is endowed with a new manually wound calibre and a jumping outsize date. 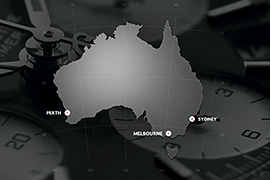 It advances instantaneously by one day at midnight and therefore always delivers a doubt-free reading. With its asymmetric, overlap-free displays and the characteristic outsize date, it has probably won the most awards of any watch in the past decades and has become the icon of Saxon watchmaking as defined by A. Lange and Söhne. 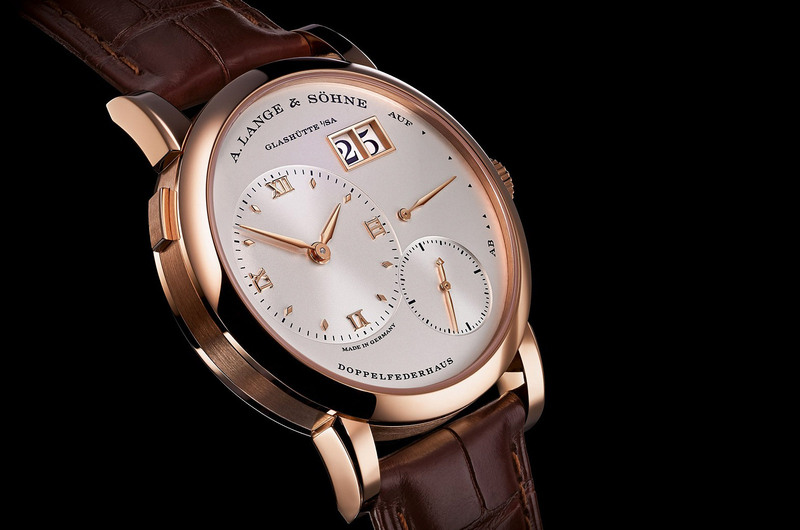 The new LANGE 1 can be recognised by a slightly narrower bezel. 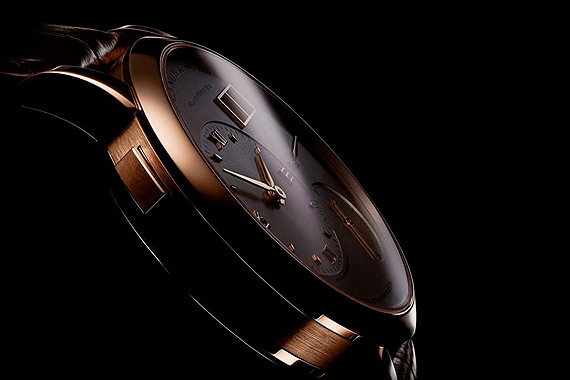 It adds openness to the face of the watch despite its unchanged diameter of 38.5 millimetres. 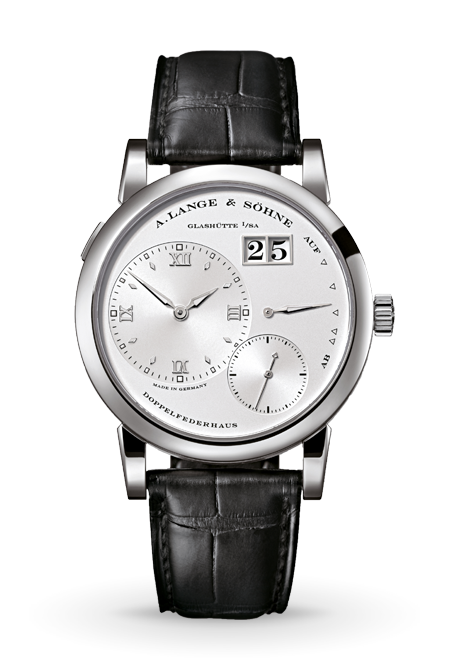 Another innovation on the dial is the instantaneously jumping outsize date that advances by one day at midnight. 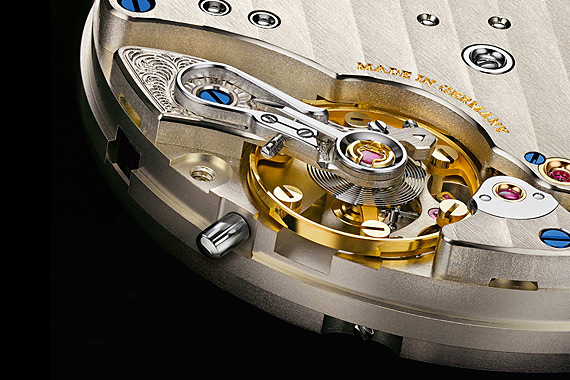 A new manufacture calibre – the 50th in the portfolio of in-house movements – writes a new chapter in the successful history of the icon, whose family now includes 15 different models. 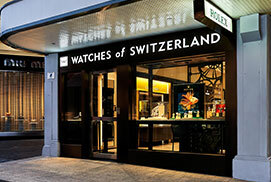 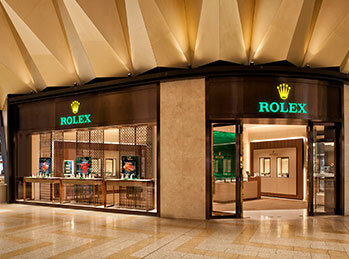 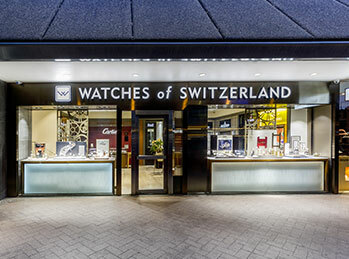 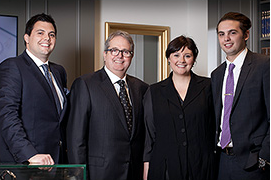 Its development reflects the horological experience accrued during a period of more than 20 years. 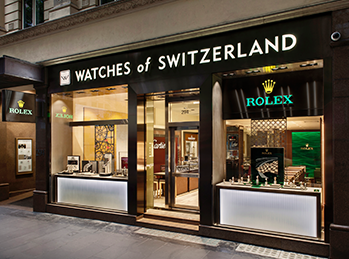 The result is a systematic technical evolution. 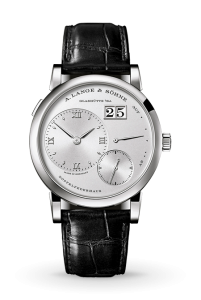 Functions: Off-centre main dial; subsidiary seconds with stop seconds; instantaneously jumping outsize date; UP/DOWN power-reserve indicator, 72 hours power reserve. 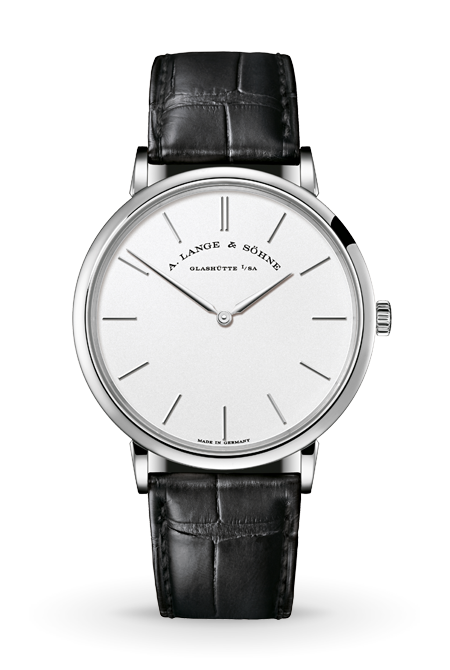 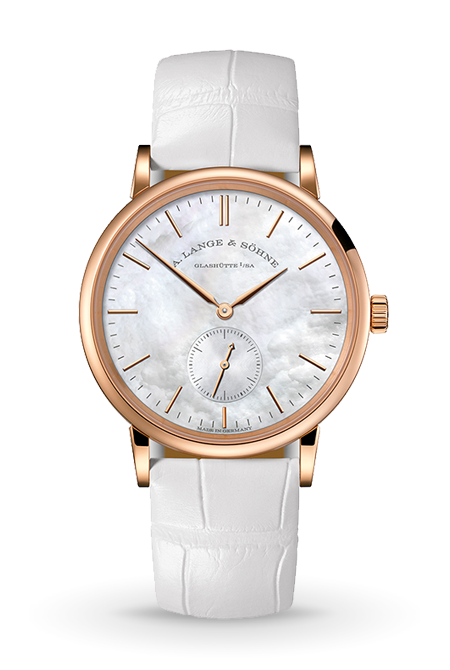 With its case height of merely 5.9 millimetres, the SAXONIA THIN is the flattest watch crafted by Lange so far. 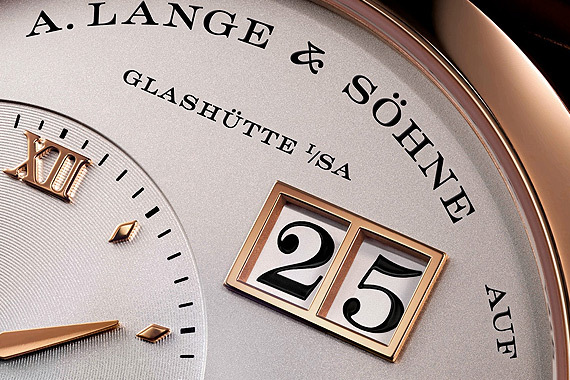 With its elegant design, the SAXONIA has occupied a special place in the manufactory’s collection since its first debut in 1994.